Books open up our minds and expose us to a world outside our own. Whether it is delving into the futuristic landscape of a highly imaginative author’s mind; or reading of the terrors of a real-life experience, books change us. A book can teach us about history, open up our minds to beliefs about the future, or somehow help us to understand our present circumstances a little better. Towards the end of last year, I reviewed my goals from the previous year, and discovered that there was room for improvement, as there most often is. In furtherance of my goals to improve upon myself, I have decided to read a book a week. This may prove challenging as I want to open up myself to authors I wouldn’t ordinarily read. Also, seeing as time is a limited resource, the seconds on the clock might fly by faster than my reading speed would allow. The hope though, is still strong. I hope to share the treasures I find with you, and would like to read your recommendations, as well. You may be interested in some of the books I read last here: find those posts here and here. If you would like pointers on your goals you may find this article on achieving goals useful. On the importance of goals, check out this talk that further motivated me to read more. 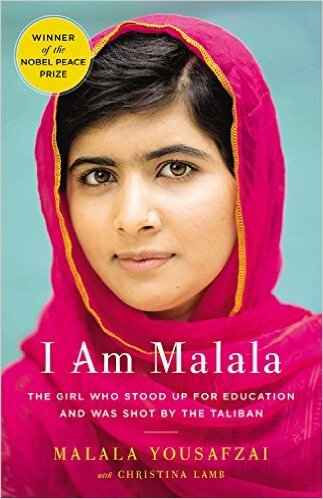 On the topic of books, the book for the week is 'I am Malala' by Malala Yousafzai with Christina Lamb. Let me know if you have read it, or are currently reading it. What books would you recommend?